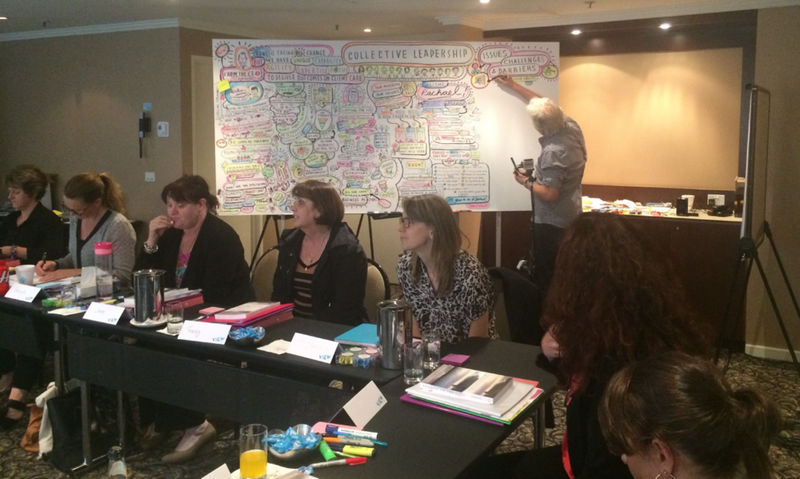 Graphic Recording at a 3 day workshop in Melbourne with Accenture & their client BHP. Graphic Recording for the RDNS, Lendlease and Mindshare World workshops. Two days in Adelaide creating a mural on the Multigate stand at the Acorn Expo. 1500 Scrub Nurses from around the globe added their thoughts and ideas to the mural. Graphic Recording at the Maritime Museum, working with Bendelta and their client NSW Education. A day at The Gold Coast, graphic recording with 250 employees participating at the Legardére conference and workshop. A day of graphic at the WT Partnership management workshop and a refined graphic for all staff. 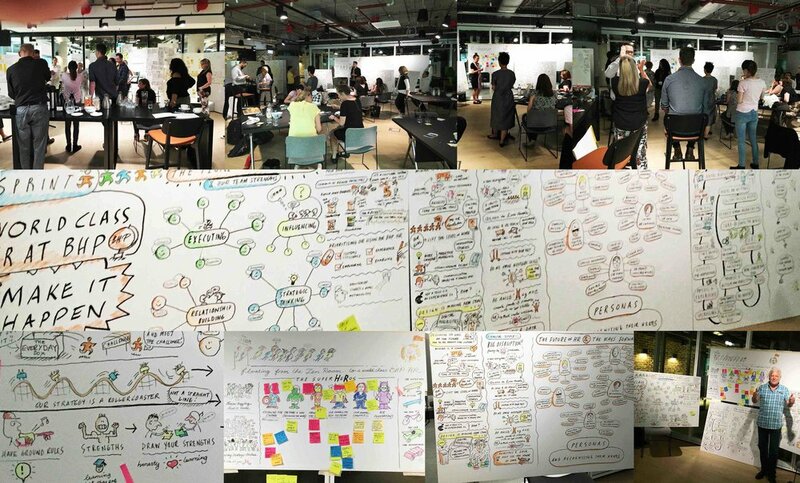 Branding, Design and Graphic Recording for Sydney's Innovation Nation workshops. Participants included innovators from Australia's top ten companies. A simple, re-usable facilitator solution for any workshop. A day of graphic at the Crazy Might Work business innovators workshop. A day of graphic recording at the South East Water workshop in Melbourne. Drawing a wall mural on the Multigate stand at a two day Expo at Mornington Peninsula. Here’s some of the fab Muligate people.